Washington: Scientists have discovered a naturally occurring ‘invisibility cloak’ on human skin that can block mosquitoes'' ability to smell and target their victims. Ulrich Bernier, Ph.D., the Mosquito and Fly Unit at the U.S. Department of Agriculture's Agricultural Research Service-Center for Medical, Agricultural, and Veterinary Entomology in Gainesville, Fla., who is exploring a different approach towards the mosquito's repellant, cited the pressing need for better ways to combat mosquitoes. A person's scent, Bernier explained, comes from hundreds of compounds on the skin, many emitted through sweat and others produced by bacteria. To identify which of these attract mosquitoes, Bernier and colleagues used a special mosquito cage divided by a screen. They sprayed various substances into one side of the cage, and documented the effects in attracting mosquitoes. Some compounds, like lactic acid- a common component of human sweat- were definite mosquito lures, drawing 90 percent of the mosquitoes to the screen. With other compounds, however, many of the mosquitoes didn't even take flight or seemed confused. 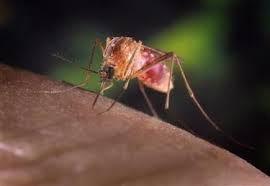 “If you put your hand in a cage of mosquitoes where we have released some of these inhibitors, almost all just sit on the back wall and don''t even recognize that the hand is in there. We call that anosmia or hyposmia, the inability to sense smells or a reduced ability to sense smells,” Bernier explained. He said that a group of chemical compounds, including 1-methylpiperzine, block mosquitoes' sense of smell. This may help explain why mosquitoes fly toward some people but not others. The study was presented at the 246th National Meeting and Exposition of the American Chemical Society.